We study the behavior of the exchange bias (EB) and the blocking temperature in an antiferromagnetic FeVO4–ferrimagnetic Fe3O4 nanocomposite system upon annealing in Ar atmosphere. Surprisingly, the blocking temperature of post-annealed samples increased to ∼ 50 K, more than two-fold compared the Néel temperature (TN = 22 K) of individual FeVO4 nanoparticles. This significant enhancement of the blocking temperature was accompanied by the corresponding increase of EB, from ∼ 50 Oe in as-prepared samples to ∼ 110 Oe in post-annealed samples. The temperature dependence of EB can be described by two approximately linear regions with different slopes, with an inflection point at T ∼ 21 K coinciding with the Néel temperature of FeVO4 nanoparticles. The region above the inflection point with non-zero EB is characterized by a weaker temperature dependence and is expanded well beyond TN. The x-ray photoemission spectroscopy measurements indicate that the surface of post-annealed Fe3O4 particles becomes oxygen deficient, which leads to a modification of the electronic, magnetic and morphological properties of the FeVO4/Fe3O4 interface. 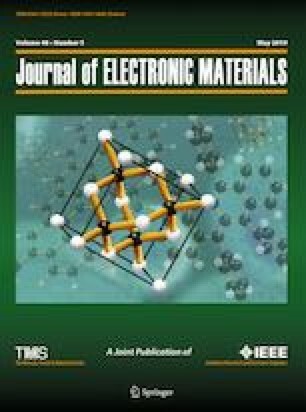 We associate this unusual behavior with a magnetic proximity effect, in which the ordering temperature of the antiferromagnetic FeVO4 nanoparticles and the corresponding exchange bias are strongly affected by the adjacent ferrimagnetic Fe3O4 layer. Ehab Abdelhamid and Suvra S. Laha have contributed equally to this work. This work is supported by the National Science Foundation DMR-1306449 Grant. We thank Kirill Belaschenko and Manh-Huong Phan for many useful suggestions. This work is dedicated to the memory of Prof. Gavin J. Lawes.